Peerless Wall Mount suitable for use with the 70" & 80" Ctouch Interactive touch screens. The sturdy SF680 wall plate holds displays weighing up to 350lb while featuring junction box access ports and horizontal display adjustment up to 12" for ideal display positioning. It’s easy-glide brackets enable quick display-to-mount attachment with its simple hook-on design. 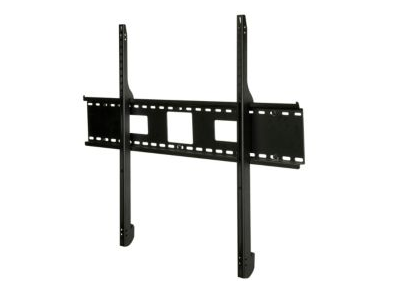 Delivering an ultra-slim profile, this mount is the ultimate in low-profile solutions for 61" to 102" flat panel displays. Horizontal display adjustment up to 12" (depending on display model) for perfect display placement. Easy-glide bracket design ensures display is securely attached to wall plate. Low-profile design holds display only 1.83" (47mm) from the wall for a low-profile application. Minimum to Maximum Screen Size: 61" to 102"